Sso many Thai fonts used in Thailand don't look like the standard Thai font that we used. There is an enormous diversity in Thai fonts (typefaces) found in Thailand, and used everywhere, from Thai movie posters, to Thai advertisements, to Thai signage of all kinds, to Thai restaurant menus. 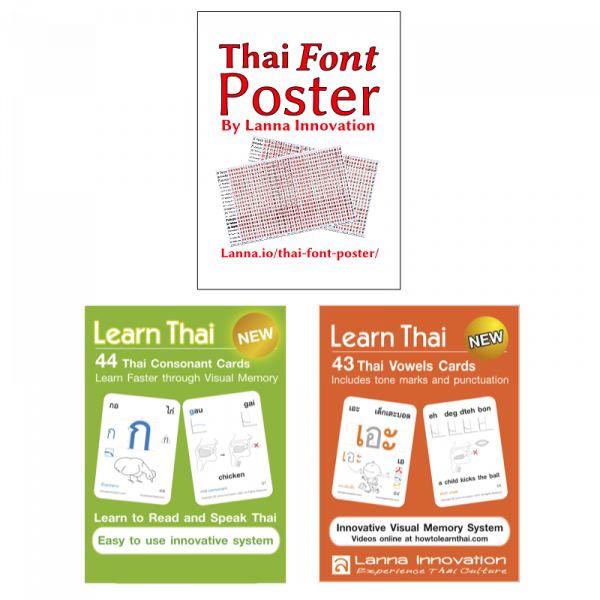 Unfortunately, even if someone learns the fonts used in standard Thai by the government, in use on websites, and in books, that is not enough to be able to read Thai in Thailand. 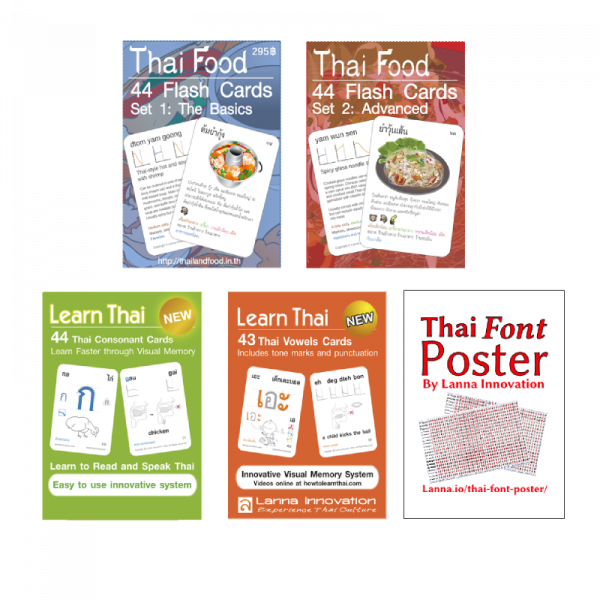 From these fonts we selected 20 which showcase the variety and diversity of Thai fonts found in Thailand. 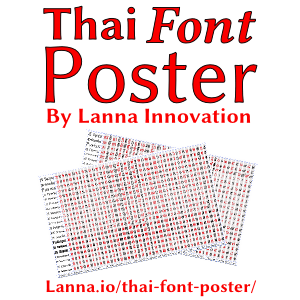 With those twenty, we created a two-sided, two-color Thai Font Poster which displays side-by-side all representative characters as found on Thai keyboards and mobile devices. On one side are the 44 consonants, and on the other side are representative vowel characters, tone marks, punctuation, and the Thai numbers (another 38 characters). 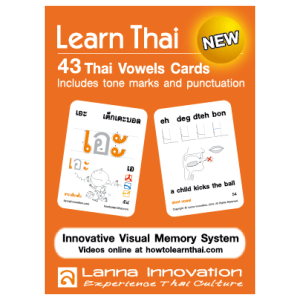 Because some Thai vowels use parts of other Thai vowels, not all vowels need to be displayed to show the variation between the fonts (for example, เอา has เอ and อา).